By buying this product you can collect up to 11 loyalty points. Your cart will total 11 loyalty points that can be converted into a voucher of 3,30 €. 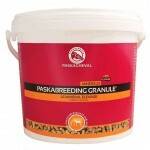 PASKABREEDING has been designed for growing and breeding horses. PASKABREEDING brings 11 essential minerals, liposoluble and water-soluble vitamins. Those nutrients favour milk secretion (for the mare) and contribute to foal's growth and development. Vegetables extracts are used to strengthen the immune system and support the digestive system. 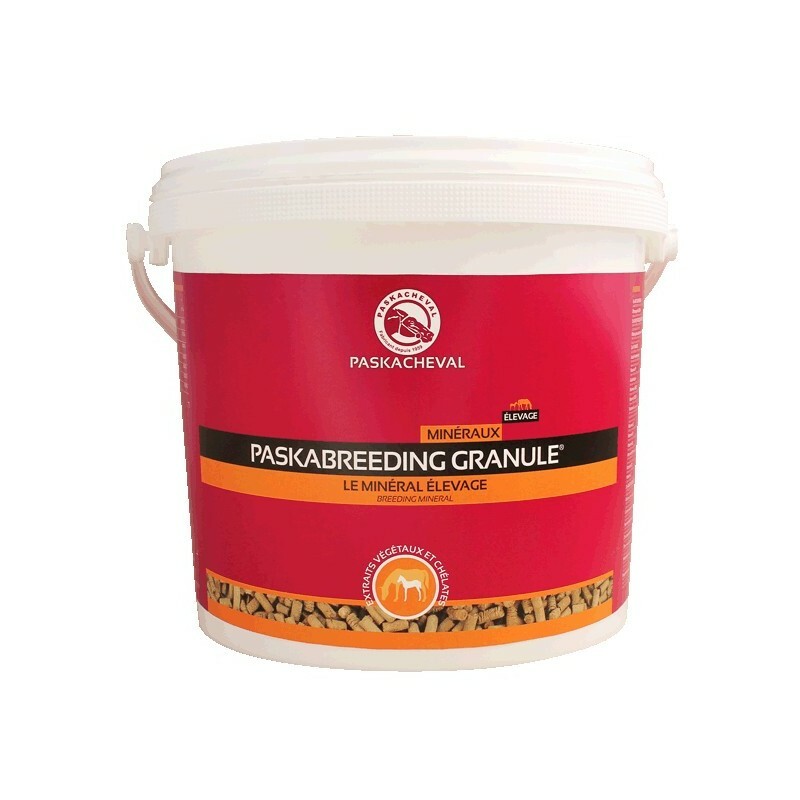 PASKABREEDING is recommended for all breeding horses. Composition : Bicalcic phosphate, calcium carbonate, magnesia, vegetable extracts, premix and micro-nutrients. Weight Seau de 5, 10 ou 25 kg.